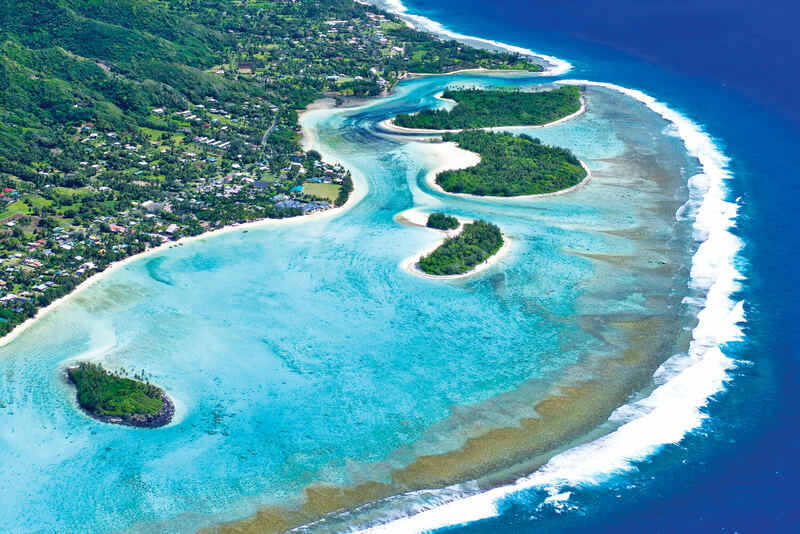 Discover one of the Pacific Islands best kept secrets, Rarotonga and the Cook Islands. Lounge around and let time fly by in Rarotonga. Relax and explore the beauty of Rarotonga and the Cook Islands. There’s a lot of islands in the South Pacific, but only one of them is that island. You know the island: the one you’ve always wanted to find: all big, green mountains spilling down into warm, baby-blue lagoons with barely a house between; that’s big enough to get lost in, but small enough you’ll know your way around in a day or two. And small enough it feels as safe and familiar as home. I grew up in Rarotonga and always wondered why so few Australians experienced it compared to our Pacific neighbours. But then the feeling of discovering something untouched and special is a big part of the beauty of the place, I think. Because Rarotonga still feels the same as it always did, just like when I was a kid. There’s five-star hotels built right on lagoons and some of the best restaurants in the Pacific now, but there’s still more pigs on the roads than cars. There’s no high-rise anywhere – no building’s taller than a coconut tree, it’s law. There’s no traffic lights or peak hour and the speed limit is set at 50km. On Rarotonga you won’t find a single chain hotel, nor will you be whisked off to some private island resort by helicopter or sea-plane the moment you arrive and miss out on actually experiencing the country that you came to see. I like the fact that for a tiny island just 69 square kilometres in size – one you can circumnavigate… on a scooter… in barely 40 minutes – I can still get lost each time I visit, even though I’m from Rarotonga. All it takes me is a small detour from the main coast road to 1000-year-old inland road, Are Metua, to leave the modern world behind. Here locals farm taro plantations, with their pigs tied to coconut trees. Every time I return, I discover a new path into a valley I haven’t seen before – calderas of an extinct volcano. Though, that’s not to suggest for a second that Rarotonga’s some backwater; these days it’s as sophisticated as any South Pacific destination. Tourism is its staple industry, and you’ll find everything from luxury safari tents to homely B&Bs to romantic five-star suites and villas. Rarotonga also has the best nightlife in the South Pacific, though it never comes at the expense of its sleepy lifestyle. It’s home to the best sunset bars/ restaurants in the whole Pacific; these are your archetypal tropical establishments, set right on the sand on Rarotonga’s west coast at Aorangi – where the sun drops into the lagoon through coconut fronds, while musicians play and locals natter and laugh. They’re all located close to each other, too – don’t miss The Waterline Restaurant & Bar, Wilson’s Bar and the Shipwreck Hut. Speaking of which, it’s the locals that have always made the Cook Islands stand out. Crime’s virtually non-existent here, and you won’t find friendlier souls on Earth. Family is sacred, and yours are just as important. But it’s more than that, the Cook Islanders are the extroverts of the South Pacific; they’re charismatic and confident, and they love to socialise. In fact, I’d even suggest it’s socialising that’s the national pastime here. Little wonder then there’s every type of restaurant, café and bar here. 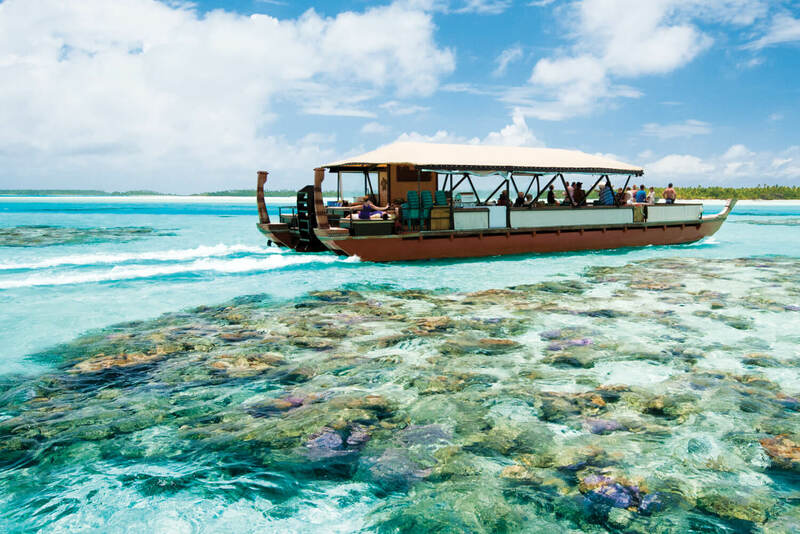 You can try everything from fish caught that morning and made into burgers at a café built out of an old container five metres from the lagoon to gourmet Polynesian fusion meals in restored 150-year-old colonial buildings. The best plan to enjoy Rarotonga is to have no plan at all. Hire a scooter and follow the road right round, basking in the unhurried pace and the freedom to see and do whatever you want. Rarotonga’s encircled by a barrier reef, so there’s great swimming options all over. No-one likes a crowd on Rarotonga, so go find a beach of your own, it’s easy. Many visitors prefer the widest section of the lagoon at Muri – it’s where you’ll find some of the best accommodation options (and a bustling night market). The water’s as blue as Bora Bora here, and you’re surrounded by four tiny, uninhabited motu (islets) you can swim to for your own Robinson Crusoe fantasy. Though you need never leave Rarotonga, it’s worth taking the 45 minute plane flight north to Aitutaki. Travellers wanting to get away from it all can lose themselves here among the island’s eight tiny, peaceful communities (there’s just 1400 locals) and on one of the South Pacific’s most celebrated lagoons. This lagoon, unlike Bora Bora’s, isn’t home to loads of five-star chain resorts; instead it’s home to uninhabited motu owned by locals for a millennia or more where there’s no-one around but the occasional local fisherman. 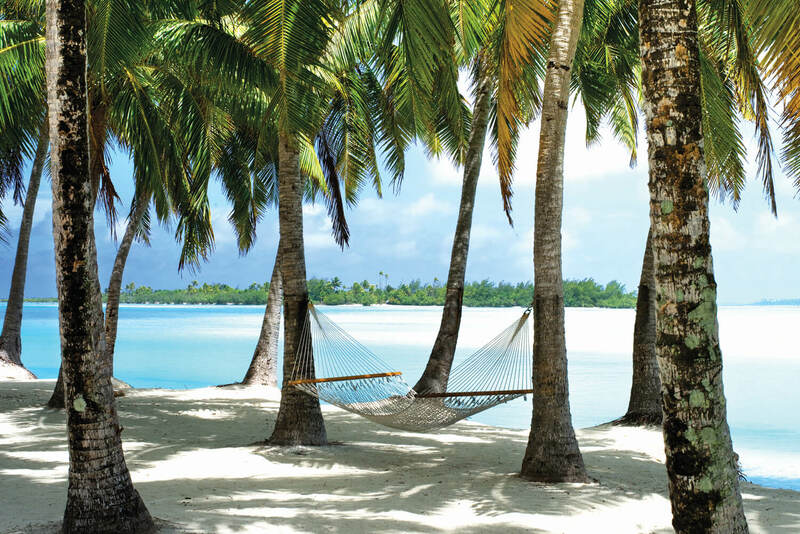 Aitutaki is a honeymooner’s dream: the Cook Islands’ most awarded romantic resorts (some of which have won plaudits as the world’s best resort) can be found here, and most activities revolve around escaping to someplace of your own within the island’s enormous, equilateral-triangle-shaped lagoon. In the end it is the ability to feel like you are worlds away from it all while at the same time making the most of stunning resorts, excellent food, welcoming locals and a gentle island pace that not only makes Rarotonga and the Cooks Islands that island, but pretty much the perfect island.